Venue: SE108, UTAR Kuala Lumpur campus, Setapak, Kuala Lumpur. Title: Software Development as a Career: Is it a Right Choice? You have always had some sort of interest in software development and programming. But is this the right path moving forward? Would your future be bright in the industry? What are software development companies looking for in a graduate? All these would be answered in this talk. 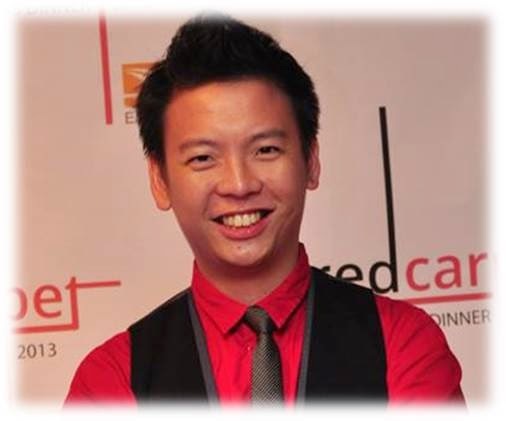 Speaker: Derek Chan, Tech Lead, Ezypay Pte Ltd.
Derek Chan graduated from UTAR with a B. CompSc (Hons) and M. CompSc in 2006 and 2008. 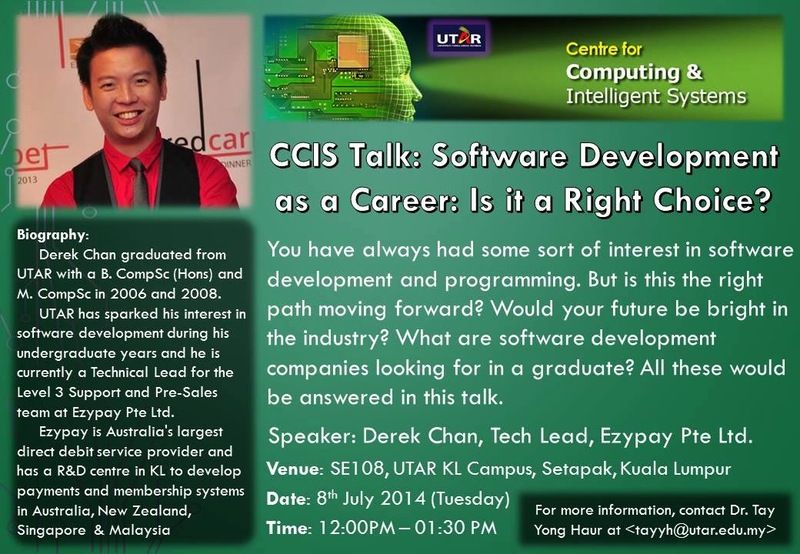 UTAR has sparked his interest in software development during his undergraduate years and he is currently a Technical Lead for the Level 3 Support and Pre-Sales team at Ezypay Pte Ltd.
Ezypay is Australia's largest direct debit service provider and has a R&D centre in KL to develop payments and membership systems in Australia, New Zealand, Singapore & Malaysia.